Two of my friends got married yesterday so it was “party/festive” kind of a day. My color combination for the day was electric blue and silver, so I made matching manicure. 1. 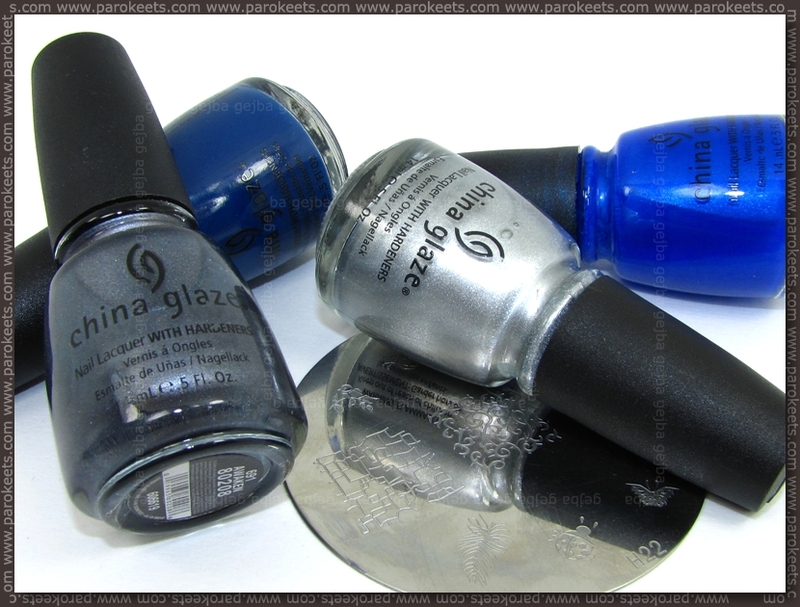 I applied one coat of China Glaze First Mate dark blue creme nail polish. 2. Sponged China Glaze Frostbite over First Mate to give the base some extra depth. 3. 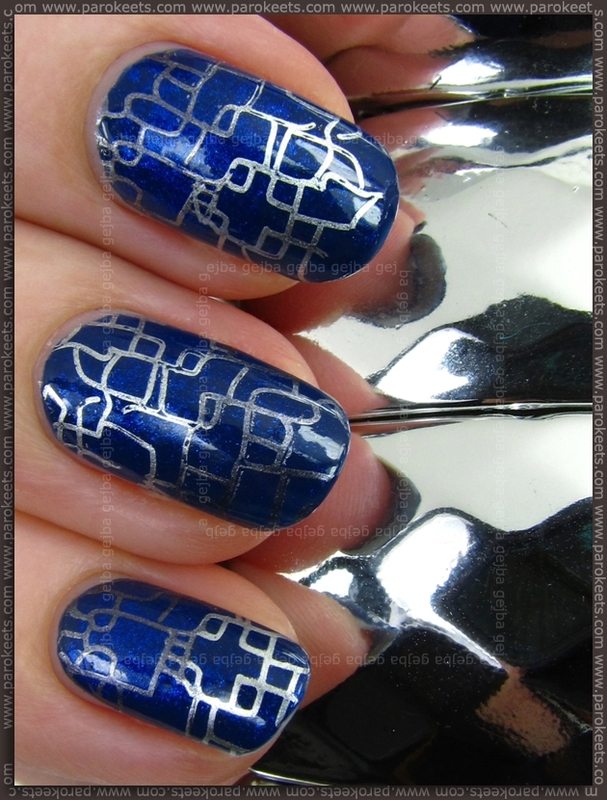 Stamped with China Glaze Millenium and Awaken +H22 image plate over the blue base. 4. Finished with Essence Better Than Gel nails Top Sealer.